Senior Democratic People's Republic of Korea (DPRK) and United States diplomats met for "exploratory" talks on Pyongyang's willingness to resume negotiations over its nuclear program in New York on Thursday. 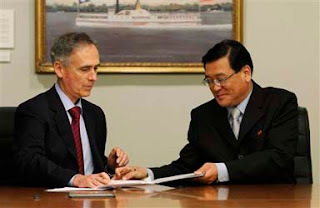 Stephen Bosworth, the US special envoy for North Korea, was in discussions with Kim Kye-gwan, DPRK's vice-foreign minister, at the US Mission to the United Nations. The talks are expected to continue through Friday. US State Department spokesman Mark Toner said that the talks were exploratory and Washington aimed to gauge Pyongyang's willingness to "take concrete steps" to re-engage in aid-for-disarmament negotiations. 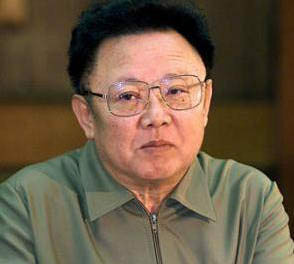 Dear Leader Kim Jong Il cast a ballot Sunday together with his son Kim Jong Un in the local elections. The step has been seen as another step toward strengthening democracy in the country, as the younger Kim is waiting for succession. Footage from AP's office in Pyongyang showed people dancing in groups outside a polling station and reviewing a board listing the candidates. Women and girls in colorful traditional dresses lined up to vote near a large sign that showed a smiling man in a western-style suit dropping a ballot into a box, a message below reading: "Let's all vote for approval!" At least 35 people were killed and scores were injured Saturday when a bullet train in eastern China lost power after being struck by lightning and was rear-ended by another train, state news media reported. 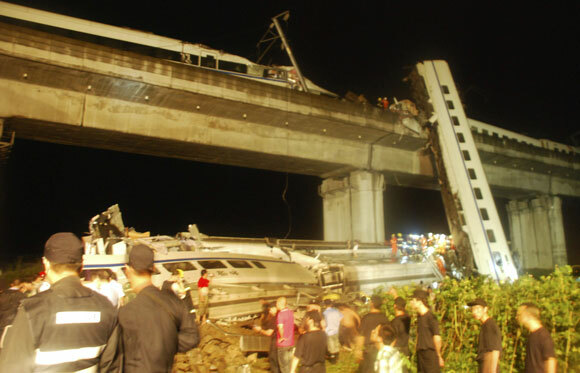 The crash sent two passenger cars careening off an elevated track in Wenzhou, a city in Zhejiang province. State television showed video of rescue workers in a steady downpour pulling bloodied passengers out of a car standing on its end and leaning against a bridge. The Associated Press announced agreements with the Korea Central News Agency, including one to open an AP news bureau in Pyongyang. Leaders of the two news organizations held discussions during a New York visit by KCNA executives and this week signed two memos of understanding and a contract. 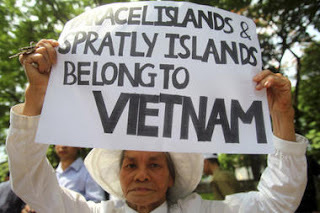 An anti-Chinese protest over the territorial dispute in the South China Sea was held for the 7th consecutive week in the Vietnamese capital of Hanoi on Sunday. 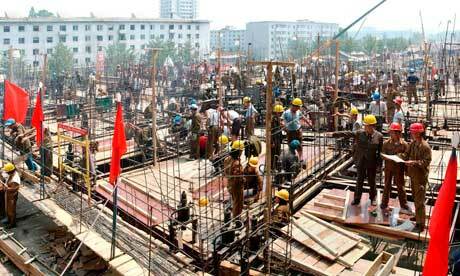 The DPRK was celebrating the 50th anniversary of the Mutual Assistance Treaty with China. This treaty was created to ensure cooperation in economic and technological field, thus driving both countries forward. Also inculded was a clause of a different type: the promise of mutual military assistance in a time of war. This is what Pyongyang was celebrating today. In China however, there was not much celebration, the event was only marked by a low-key visit from Korean officials. Since it is in China's best interest to maintain stability on the penninsula, not emphasising the military assistance part of the treaty is quite understandable. It has become clear that China would most likely not rush to save its ally should the DPRK find itself in an all-out with the ROK/US.On the other hand, China would not like to cause further anxiety to the DPRK by removing the military assistance clause from the treaty. Thus, silence is their best way of dealing with this problem right now. FOUR North Koreans who recently risked their lives to flee across the closely guarded border with China say that families are scouring the countryside for wild plants in a desperate attempt to stave off starvation. ''Some people are having to eat manure when they cannot get rice or corn,'' said one refugee, 68-year-old Kim Yeong. A North Korean man under arrest for illegally exporting luxury foreign cars to Pyongyang by way of South Korea allegedly disguised the cars as destined for foreign embassies, it has been learned. An Sonki, 71, a North Korean resident of Tokyo's Bunkyo Ward, was earlier arrested by the Metropolitan Police Department (MPD) on charges of violating the Foreign Exchange Law for exporting luxury foreign cars to North Korea from Kobe in 2008 under the instruction of the Workers' Party of Korea's undercover agency. North Korea has reportedly closed its universities to most students and told them to start building as it ramps up a construction campaign ahead of its planned re-emergence next year as a "great and prosperous nation". The UK ambassador to Pyongyang, Peter Hughes, told the Guardian that the almost year-long academic sacrifice was deemed necessary to reach production targets for new housing ahead of the centenary of founding president Kim Il-sung's birth. SEOUL, South Korea — The United States Navy intercepted a North Korean ship it suspected of carrying missile technology to Myanmar two weeks ago and, after a standoff at sea and several days of diplomatic pressure from Washington and Asia nations, forced the vessel to return home, according to several senior American officials.